I attended a lot of camps as a child (mostly for sports) and they account for many of my more dreadful childhood memories. The experience was never fun – wake up early, get dropped off, run around, sweat and get sun burned. At best, it keeps you out of trouble. Now that I am older, I obviously don’t attend any sort of camp but that doesn’t mean I’ve written off the experience entirely. There must be some sort of fun camp for an adults these days, isn’t there? 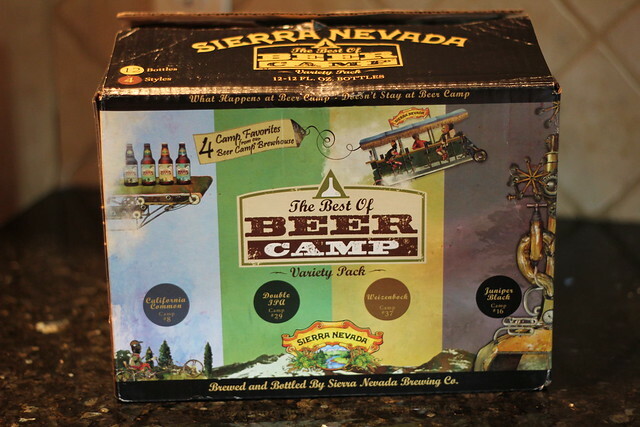 About three years ago Sierra Nevada started up its own camp for people who love beer. 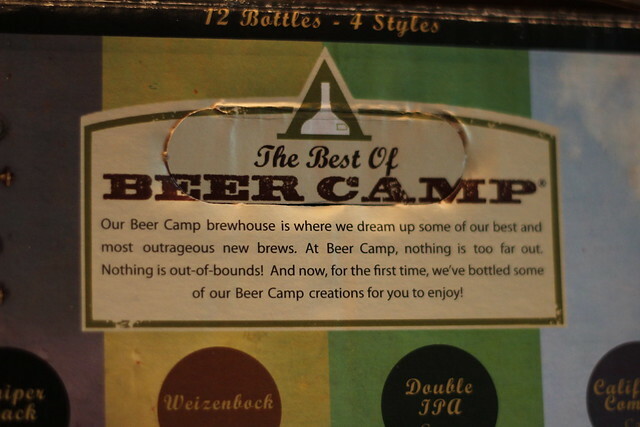 Beer camp is an annual event which occurs when Sierra Nevada drinkers from across the country make video entries promoting why they should be selected to attend such a glorious gathering. Some of the entries are funny and creative; others are downright boring. The selected winners are flown out to the brewery in Chico, California, where they receive an in depth tour of the facilities, and then spend time doing guided tastings on experimental brews and one-off beers. On top of all that you can roam Chico and experience the local cuisine and beer spots as well. 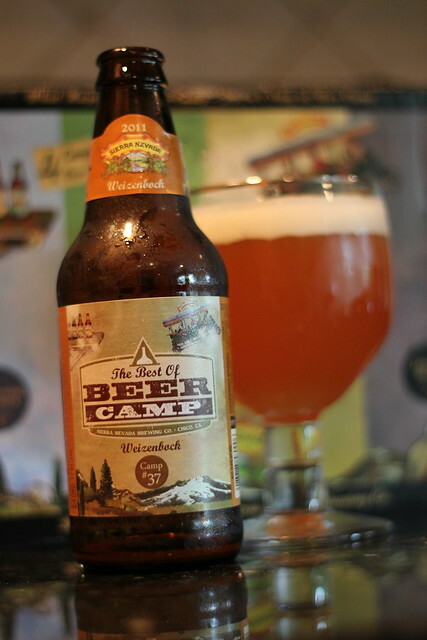 There have been over 40 camp beers brewed since 2008 and Sierra Nevada has started releasing some of the recipes as “The Best of Beer Camp.” This is the first variety pack and I wanted to share the brews with you. I’m going to start off with my favorite of this pack, the Juniper Black Ale. Roasty, sweet and fruity, I drank these three out of the pack first with no remorse. They should brew this one year round. The most interesting one out of the pack was the Weizenbock – Very fruity and malty. I felt like I was drinking a jar of banana baby food. I have made it known previously that I am a hop head. I usually like most IPA’s; I hate to say it, but this Double IPA didn’t satisfy me. It wasn’t as hoppy as I’d like it to be and was a little on the alcoholic side. 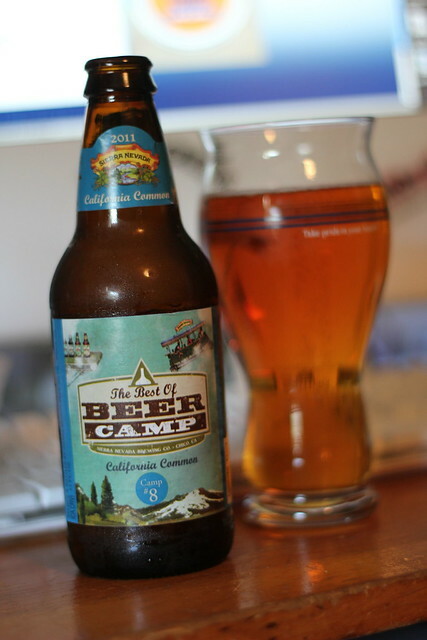 The good old California common ale. Native to its state, this ale was my other favorite out of the pack. Smooth, flavorful, and refreshing – the perfect summer beer. 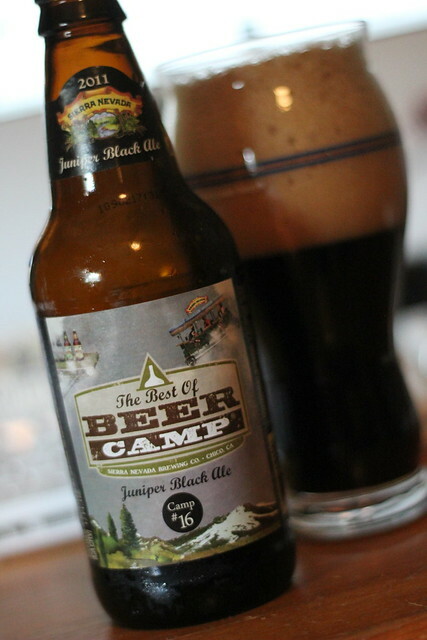 That does it for this round of The Best of Beer Camp. 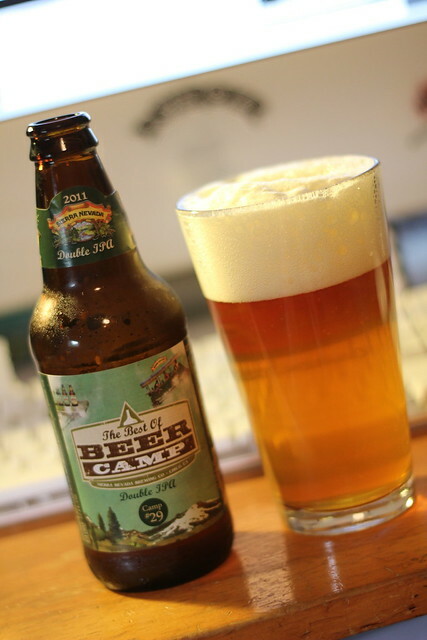 If you would like to know more about Sierra Nevada’s Beer Camp, please visit their site below. It is full of information on previous camps as well as the guidelines for future entrants. Unfortunately this year’s entries are closed as of last month but if you think you have what it takes to make it, bust out that camera and use your creativity. You might just find yourself going to this modern day Willy Wonka factory and making beer with the industry’s most knowledgeable people.